I grew up in the North East of England where the skies are grey and the people are very friendly. I have lived in Islington, London since 1986 when I was pregnant with my first baby. I have given birth to two boys, I had planned for them both to be born at home but because of a problem when I was very much past my due date, I gave birth to my first son in 1987 in The Whittington hospital, luckily I had a quick labour and lovely midwives. I went past 42 weeks with my second pregnancy, three years later, but with no problems this time so I waited and my second son was born at home with just my partner and a lovely midwife which was a truly wonderful experience. I came across the Active Birth Centre near Archway when I was pregnant and did all my pregnancy yoga and birth preparation classes with Janet Balaskas who inspired me greatly and helped to build my confidence in my birthing choices. I’m very pleased to now be working at the Active Birth Centre therapy clinic. I had thought about training to be a midwife ever since I had my children, but for many reasons that did not happen. After years of working as a massage practitioner [Holistic massage, Sports massage and Indian Head Massage] I discovered and trained with Wellmother [a wonderful organisation run by Suzanne Yates based in Bristol] in Pregnancy and Postnatal massage, qualified in 2004 and later on, Massage for Labour. During this training and my work with pregnant clients I became aware of doula’s and their amazing work and realised that this was the perfect job for me, an opportunity to help clients throughout their whole journey from pregnancy, labour and birth and into the postnatal period. 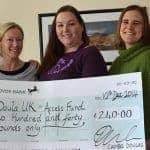 So since 2008 I have worked as a massage practitioner and a birth doula, I joined Doula UK in 2009 and I am now a recognised birth and postnatal doula. In 2014 I qualified as a certified teacher of Janet Balaskas’ Active Birth Workshop, I had the pleasure of being taught by Janet Balaskas, founder of the Active Birth Movement. I feel privileged to support women throughout this important & momentous occasion in their lives and I really enjoy supporting families postnatally and helping to make their transition into parenthood or a larger family a little easier. I love my job ! I am fully qualified in Anatomy, Physiology and Holistic Massage, Indian Head Massage, Pregnancy, Postnatal and Massage for Labour. I am a recognised Doula and a member of Doula UK and I’m a member of and insured for all of the above with I.P.T.I. A seminar “Exploring the Contemporary Context of Postnatal Depression” organised by Nurturing Birth, with Michel Odent, Kathleen Kendall-Tacket and information about Biological Nurturing in Nov 2009. I have attended many home births, water births, Hypnobirthing births, hospital births at UCH, Homerton, The Whittington, The Royal London, St Thomas’ s and The Royal Free, birth centre births at Homerton Hospital, St Mary’s Hospital, Whittington Hospital, The Bloomsbury Birth Centre at UCH and The Barkantine Birth Centre. Most of my clients live in Central, East or North London but I have also attended a few home births in South London. 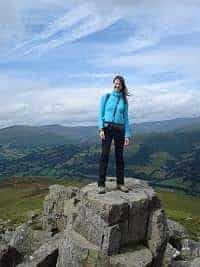 I have experience of many natural, active births using birth pools and/or gas and air, Hypnobirthing births, water births and I have supported births that have included the use of epidurals or Pethedine, induced labours and a few births that have needed ventouse or caesarian deliveries. I’ve also attended many sucessful VBAC births and recently one twin birth at UCH. Over the last couple of years since I began offering postnatal support as well as birth support I’ve worked with new mum’s, mum’s with a new baby and a toddler and several twin mum’s all of which have been very rewarding. I’m trained in pregnancy and post-natal massage and massage for labour, I use mainly shiatsu /acupressure during labour when it’s appropriate. I find that it can help relax labouring women and help with various issues that can occur during labour, such as labour slowing down, position of the baby, delivery of the placenta etc… I use Homeopathic remedies where appropriate with my clients consent and a Rebozo to help optimize your baby’s position and to help relax you during labour .